At Ion Distilling, spirits are all produced from scratch in the distillery in County Tyrone. All spirits are made using water from their own artisan well, which is filtered through ancient volcanic rock which lies beneath the distillery. 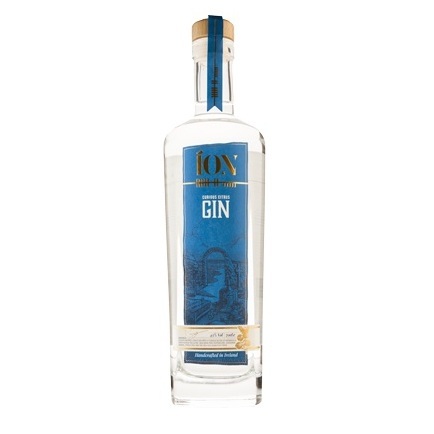 Highly aromatic hand-made Irish Gin, with a gentle sweetness and smooth warming citrus finish. Vapour infused gin with a curious blend of botanicals from across the globe, including pink peppercorn, cardamom, ginger, citrus peel and the delicate Asian Yuzu fruit which adds a wonderful lasting citrus aroma.